Jet Airways has grounded four aircraft following its inability to pay lessors. The debt-ridden airline, which operates a fleet of 124 aircraft, is proactively informing and re-accommodating the affected guests, it informed the stock exchanges. 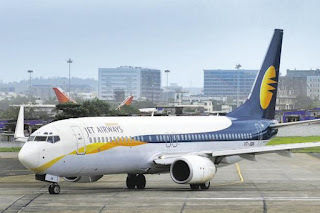 Jet urgently needs external funding to stay afloat and the company is said to be cutting a deal with Etihad and State Bank of India. Reuters reports, qouting unidentified sources, that some lessors are questioning the viability of the carrier’s rescue plan.